With The Big 5 just days away, we decided to offer a high-level guide for those construction stakeholders seeking entry to the market and how to do so most effectively while being aware of the common pitfalls. Driven by economic diversification strategies and a variety of high-profile international events, it is estimated, according to the Khaleej Times that the GCC’s construction pipeline is currently worth in excess of $2tn and while the region’s infrastructure development may have fundamentally started in the mid-seventies, the past twenty years have indisputably been a socioeconomic game-changer. From the mid-nineties till 2008, both expats and businesses, particularly construction-based companies, flooded to the GCC to participate in the monumental construction activity that was taking place; contributing to a period that altered the perception of the region from hydrocarbon economies to centres of business, trade and tourism. In 2008, the subsequent arrival of a global recession and price correction of oil put the proverbial handbrake on the region’s construction schedule, causing government plans to be scaled back by up to 30%, while the fiscal impact on the market, according to Arabian Business, hit property values by as much as 60% from their peaks at the beginning of year. The result; a considerable revaluation of construction-based spending, an adjustment in material prices, a reduction in available financing and a contraction of consumer demand. According to one research paper, the value of projects either on hold or cancelled by 2010 was approximately $249bn. You might be wondering, why the history lesson; the answer being it is fundamentally essential to grasp how the market has developed over the past forty years in order to understand the current climate, and why taking the right approach matters. While there are enough encouraging signs from the region as a whole to motivate construction companies to enter the market in a timely fashion, thoroughly assessing the required financial investment, business climate and competitiveness within your company’s area of expertise is essential. Extended factors include in what mode you enter the market which can vary from cooperative, such as a strategic alliance, i.e. a long-term inter-corporate consortium without an affiliated firm, through to more popular choices, such as a joint venture project whereby responsibilities and profits are tied to each member via an agreement or even competitive structures such as a sole venture company or branch office. Like any other area of business, conducting due diligence on any potential partners and furthermore, the performance history of any company you seek to do business with can help you foresee any potential problems early on and adjust your entry method accordingly. Companies interested in building in the Middle East used ProTenders as an online construction partner search engine to easily identify project partners based on business activity, verified project experience and/ or products. As an added note, even with strong supporting feasibility and diligence reports, executing a gradual entry, which utilises a lower commitment of resources has also served many entrants well. Both entry to the GCC construction market, and/or the commencement of a capital project are both cash-intensive exercises that need to be carefully understood, however, despite this, risk management is often not given the attention it deserves. According to Deloitte’s 2017 paper titled, ‘The case for risk management in the Middle East construction market’, the two greatest threats come from either insufficiently budgeting for possible risk events at the start of the project or during the project execution where elements that can threaten the potential outcome of the project remain unidentified or incorrectly managed. The consequences of these two issues can cause significant costs, however, there is still the mindset that by including project risk, will impact the likelihood of securing a contract in the first place. The reality is having an accurate risk assessment of your project will not only allow you to execute your project correctly but also save you a significant list of potential problems in the long run. 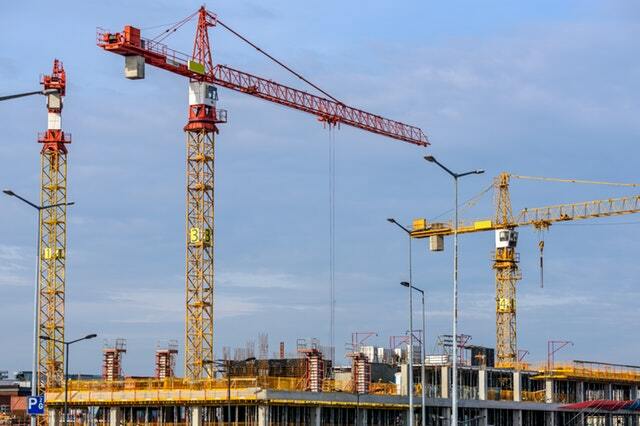 By providing accurate intelligence of the construction landscape, ProTenders seeks to mitigate the risks associated with bidding on the wrong projects or selecting the wrong partners. As an autocratic region, much of the GCC construction is driven by its leaders who in very general terms have common goals in terms of construction, mostly focused on sustainability and the integration of technology. No matter where you fit into the supply chain, ensure that if your product or service has a unique selling point that supports the high-level approach of the government, ensure it’s clearly presented and visible to potential partners. According to recent data, the GCC industrial and building automation market is projected to be worth $10.3bn by 2023, so forward-thinking businesses can be encouraged that tech will remain a strong priority as Industry 4.0 finally gives the construction sector an overdue renovation in line with the overarching vision of the region. While the points above will help to give you some clarity about how to enter the market most efficiently, there are also some existing challenges in the market, which are also good to be aware of. According to Andy Hewitt, executive officer, Institute of Construction Claims Practitioners (ICCP), the GCC now ranks as one of the regions with the highest number of construction claims, citing “tight construction deadlines, poor contract drafting, and the high number of projects currently being implemented across the region.” In general cases, disputes centre around delays, cancellations and construction defects, which can typically be traced back to poorly drafted contracts, emphasising the requirement for companies to be clear about project expectations and outcomes from the start. Overall, the GCC still represents one of the fastest-paced construction markets in the world with a lot of potential opportunity for companies who are willing to adopt a methodical and calculated approach, while providing a forward-thinking, sustainable solution. For further information on how ProTenders can provide you with valuable insights into Middle East construction, or how companies can find your profile, project experience or products, please contact us. ProTenders is the leading Construction Intelligence & Tendering platform, empowering thousands of Developers, Consultants, Contractors and Suppliers around the world to reduce risk, showcase their companies, and find new leads and partners, securely and efficiently. ProTenders has over 35,000 member companies and 51,000 listed projects, and has processed over USD 30 Billion worth of bids.